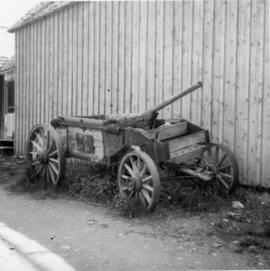 Photograph depicts a 4- wheeled wagon that was designed to hold 'pay dirt' or 'rubbish' with a drop bottom worked by a ratchet and chains. 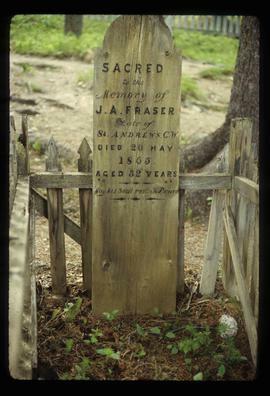 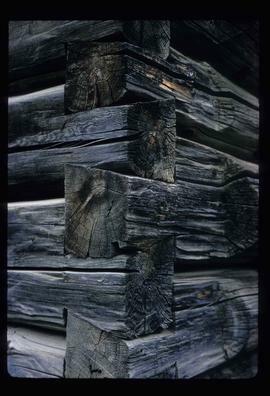 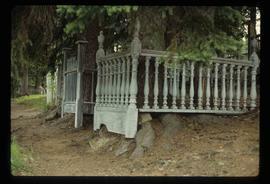 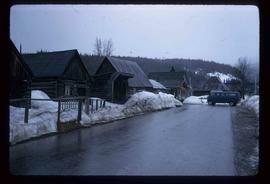 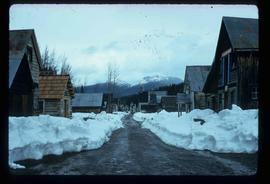 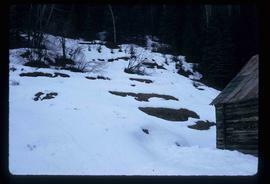 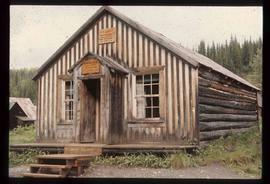 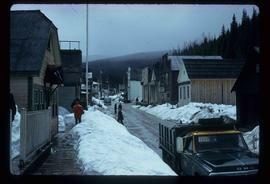 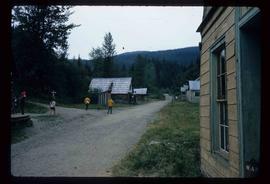 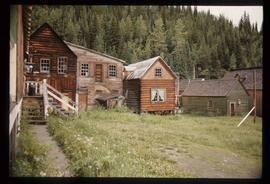 Image depicts the corner of a log house, the slide itself labels the picture as being from Barkerville, B.C. 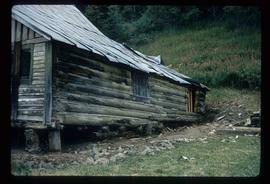 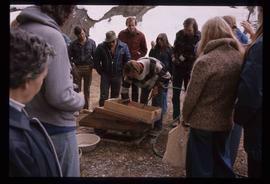 and also indicates the corner is an example of a "round log" dovetail joint. 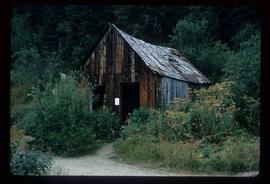 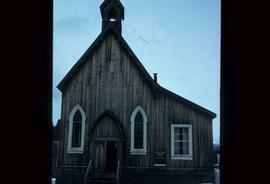 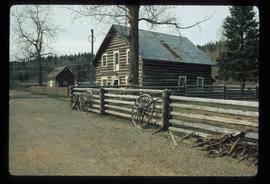 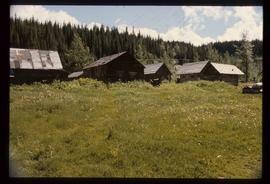 Image depicts the Cottonwood House at the Historic Site located in Barkerville, B.C. 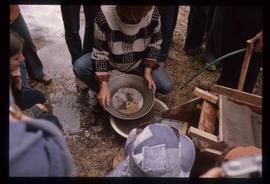 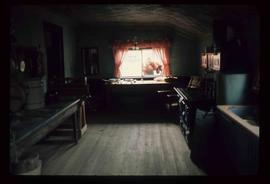 Image depicts the kitchen area of the interior of the Cottonwood House. 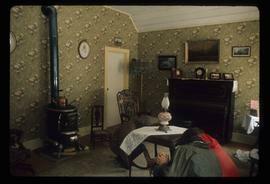 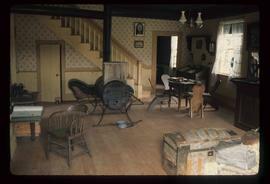 Image depicts the living area of the interior of the Cottonwood House. 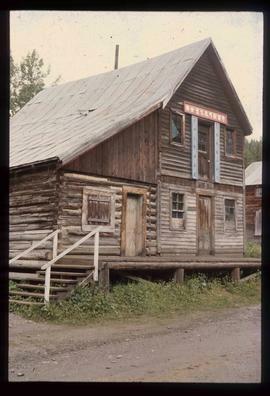 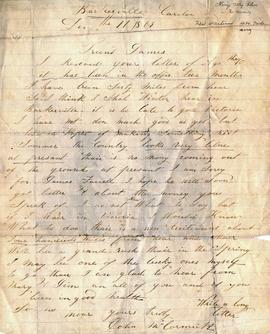 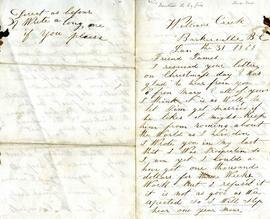 Handwritten annotation on verso “ Barkerville in 1930’s". 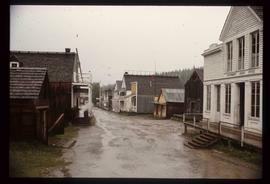 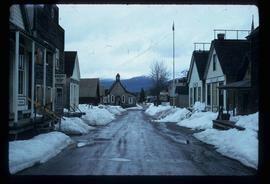 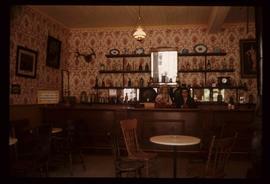 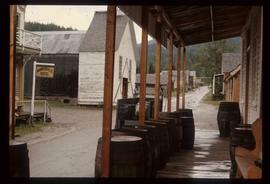 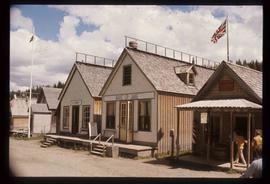 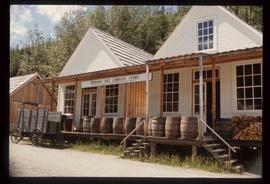 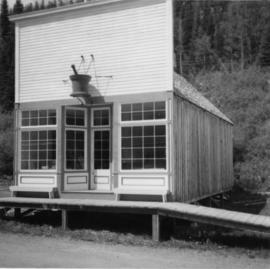 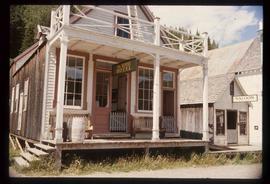 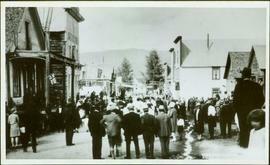 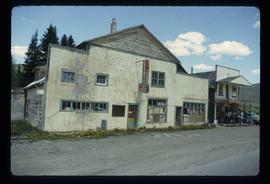 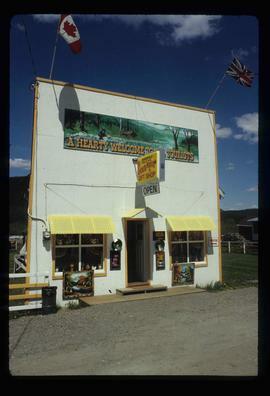 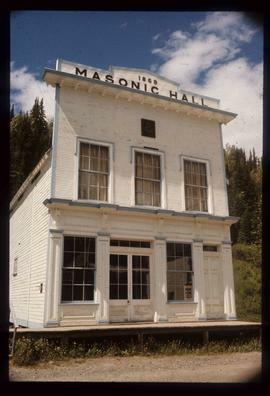 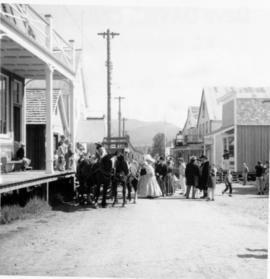 Photograph depicts the completely rebuilt drug store in Barkerville based on historical sketches and photos. 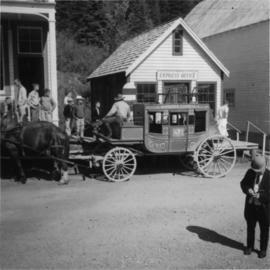 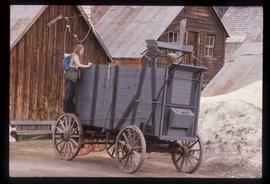 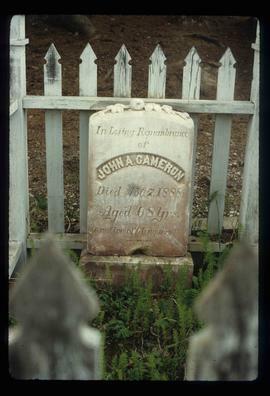 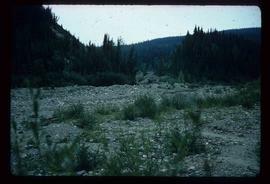 Photograph depicts a horse drawn wagon in Barkerville. 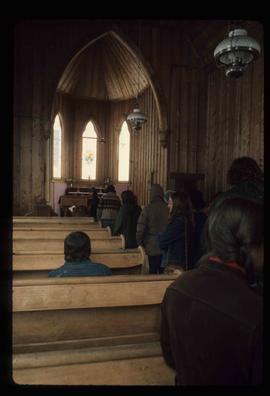 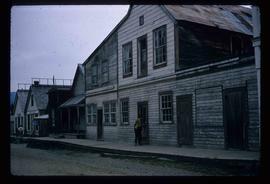 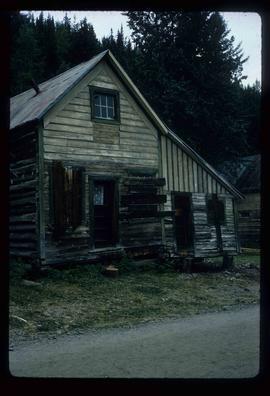 Image depicts the interior of an old house, possibly the Cottonwood House, and most likely in or near Barkerville, B.C. 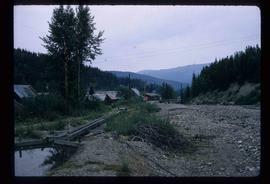 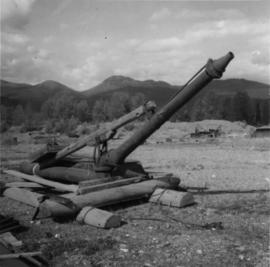 Photograph depicts a hydraulic sluicing monitor that was not a piece on display in the exhibit, but was a piece of abandoned equipment found below Barkerville town. 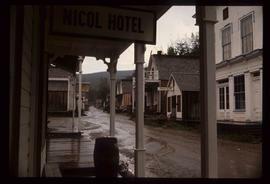 It was made by Empire Foundry, Marysville, California.